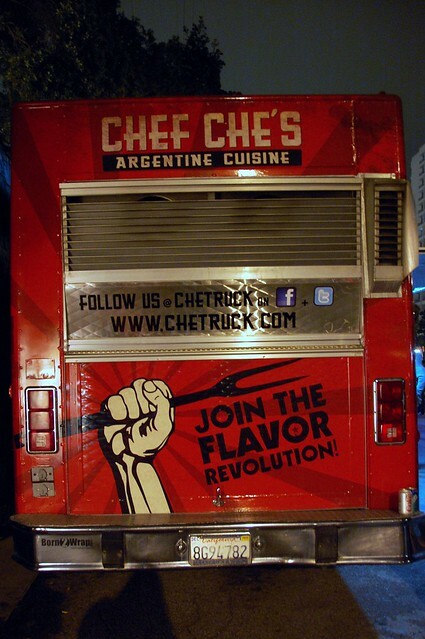 Chef Che's Argentine Cuisine commanded the longest line at the Santa Monica Food Truck Lot. The rest of us had long finished fetching food from our respective trucks, but Mr. Cruiser took one for the team with this truck. It's a shame that it wasn't really worth it. 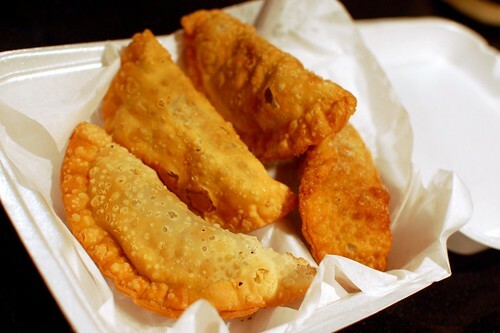 Fillings could've been juicier and punchier, but there was nothing inherently wrong with any of these empanadas. They just didn't have any "wow" factor. 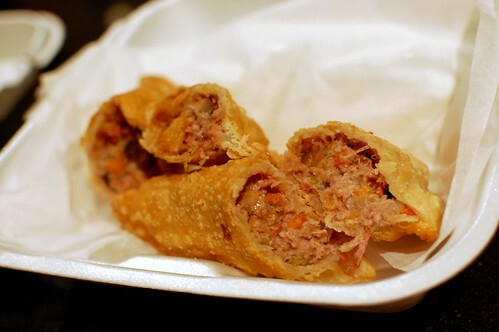 If I had to pick one for you to get, I guess I'd say the pork is the best. 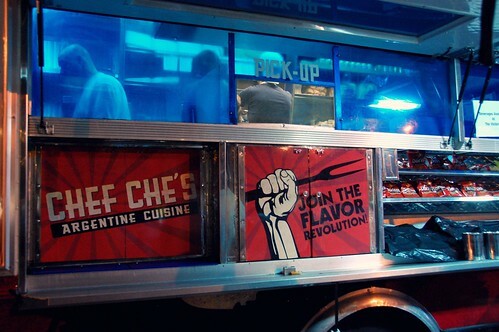 If there's a line of any sort, I suggest skipping Chef Che's. There's no need for class struggle with the bourgeoisie for this truck. I am thoroughly enjoying your reviews of bad food. Probably more than you enjoyed eating it. You would think the lines would mean something! Aw man - Argentinean food is so awesome. Sad.